I’m part of the Stone Age cohort. In 1968 Andy and his Swarthmore colleague Ted Nelson gave a medicine show pitch to convince skeptical undergrads to sign up for an an insanely demanding one year, four course sequence then called Applied Math 101/102 and 103/104. I bit. You can read about Andy’s honors and achievements on his Wikipedia page, and Professor Shriram Krishnamurthi's answer to Why is professor Andy Van Dam (Andy) so cool? Here are two short stories from me. Photo of Andy on WBGH Boston’s After Dinner show, broadcast live at 7:30PM Monday October 20, 1969. After Dinner featured Andy van Dam, Chris Braun, Bev Hodgson (then Brown Daily Herald editor), Al Basile and myself talking about hypertext for 30 minutes on a stage set that was supposed to look like a professor’s living room, right next to Julia Child’s WGBH TV kitchen. 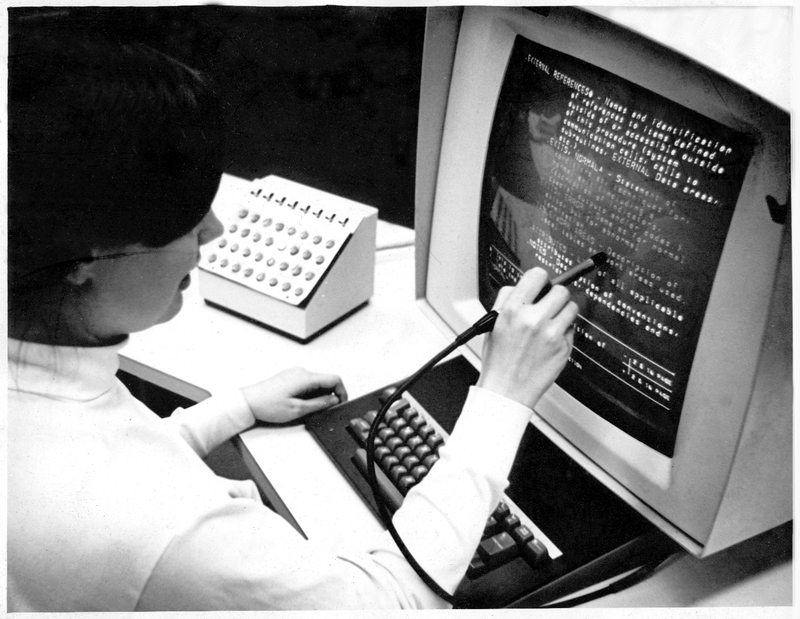 Andy is pointing to photo of Chris Braun at the IBM 2250 Hypertext Editing System (HES) console. AvD writes: You might mention that the topic wasn’t just hypertext per se, but the use of hypertext for non-linear narratives, esp. hypertext fiction as a new literary form (Montreal Expo (68) had just shown an audience-influenced branching movie, Burroughs’ Naked Lunch and Nabokov’s Pale Fire had been published, and experimentation was in the air. I’m sitting in the audience at the YURT inauguration symposium, listening to organizer John Cayley talk about “Cave Writing” and related spatial (immersive) hypertext projects that he and his students craft. Brown Computer Science circa 1969. Original edition. The story as I recall: Most people chose an individual final project for AM 101/102. However, a few folk chose the two person assembler project. It became a team programming mantra. The first part was made into a button, with Wor ks spelling. The second part was the AvD equivalent of a secret handshake. Until now. Celebrate With Andy: 50 Years Of CS At Brown - May 2015. 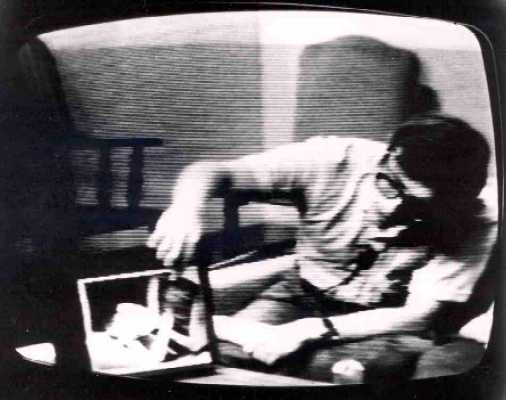 An essay celebrating "the three golden anniversaries for the Brown CS family: fifty years of the UTA program, undergraduate involvement in research, and Andy van Dam at Brown." Why is professor Andy Van Dam (Andy) so cool? - Quora, Jan 2015. I agree with Brown CS professor Shriram Krishnamurthi. Hypertext Editing System - Wikipedia page. Photo by Greg Lloyd.